Yasmine Bleeth hung up her famous red swimsuit two decades ago and disappeared from the Hollywood scene. 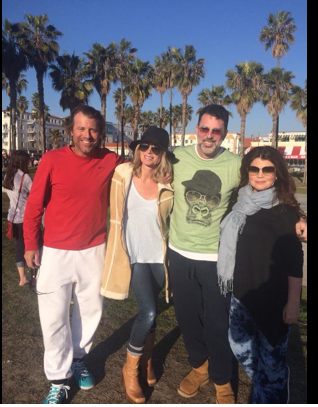 She posed for a pic in Venice California on New Year's Day with pal Eileen Davidson and their husbands. Whoops! Someone dropped their keys!